To illustrate how forward contracts can be used to hedge, we consider the case of a public utility that uses oil to generate power. The prices that our utility can charge are regulated and cannot be changed rapidly. As a result, sudden increases in oil prices are a source of financial risk.2 The utility's risk profile is illustrated in Figure 23.8. If we compare the risk profile in Figure 23.8 to the buyer's payoff profile on a forward contract shown in Figure 23.7, we see what the utility needs to do. The payoff profile for the buyer of a forward contract on oil is exactly the opposite of the utility's risk profile with respect to oil. If the utility buys a forward contract, its exposure to unexpected changes in oil prices will be eliminated. 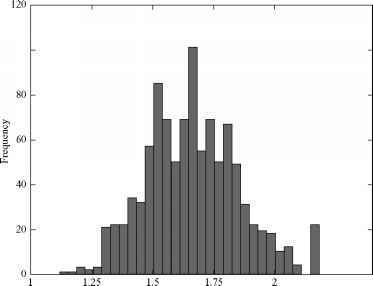 This result is shown in Figure 23.9. Our public utility example illustrates the fundamental approach to managing financial risk. We first identify the firm's exposure to financial risk using a risk profile. We then try to find a financial arrangement, such as a forward contract, that has an offsetting payoff profile. A Caveat Figure 23.9 shows that the utility's net exposure to oil price fluctuations is zero. If oil prices rise, then the gains on the forward contract will offset the damage from increased costs. However, if oil prices decline, the benefit from lower costs will be offset by losses on the forward contract. For example, in January of 2000, America Online (AOL) announced that it would buy Time Warner, forming the company we now know as AOL Time Warner. Following the announcement, stock in Time Warner soared to more than $90 per share. Time Warner Vice Chairman (and well-known media mogul) Ted Turner had previously entered into a hedging arrangement under which he locked in a maximum possible price of $30 per share on 4 million shares of stock he owned. As a result, he missed out on $240 million in gains—good thing he owned over 100 million shares in all, up more than $2.8 billion on the day! This example illustrates an important thing to remember about hedging with forward contracts. Price fluctuations can be good or bad, depending on which way they go. If we hedge with forward contracts, we do eliminate the risk associated with an adverse price change. However, we also eliminate the potential gain from a favorable move. You might wonder if we couldn't somehow just hedge against unfavorable moves. We can, and we describe how in a subsequent section. A plot showing the gains and losses that will occur on a contract as the result of unexpected price changes. 2Actually, many utilities are allowed to automatically pass on oil price increases.